Three recently retired Royal Netherlands Air Force Agusta Bell 412 SP helicopters will be getting a new lease on life with the Peruvian Navy. 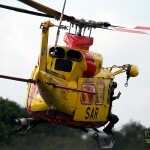 The aircraft had recently been operated by the 303rd Search and Rescue squadron based Leeuwarden airbase in the North of the Netherlands. A artists rendition of how the AB-412 in Peruvian service might look. Artwork by Lieuwe de Vries – 2014. Prints available upon request. The aircraft will join an existing fleet of 5 AB212 helicopters which are based aboard the Peruvian navies Lupo class frigates. Other helicopters in the fleet are a number of Bell 206B’s and Agusta-Sikorsky ASH-3D Sea King’s. 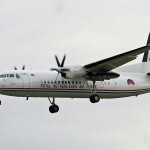 It’s not the first purchase of aircraft from the Netherlands for the Fuerza de Aviación Naval, the service has bought 2 Fokker 50 and another two fokker 60 light utility aircraft from the Dutch. The aircraft are slated to replace aging Antonov 32 aircraft previous bought from the Ukraine and can be used for martime partol missions. 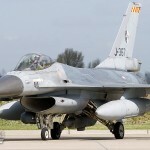 Other sales by the Dutch to South-America include the sale of 36 Mid-Life Update F-16 fighter aircraft to the Chilean air force where they joined a fleet of more modern F-16C/D Block 50M’s.